Limited First Press of 550 Copies on Random Colored Vinyl. 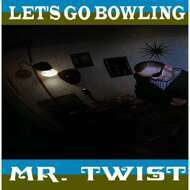 The sophomore release by 3rd wave SKA pioneers Let's Go Bowling. Originally released in 1996 on now defunct MOON SKA RECORDS. This album never was released on vinyl. We are so very proud to have this album on wax for the very first time.